This wonderful pattern features flocks of flying geese that want to zig, and other flocks that want to zag, for a delightful cacophony of motion! 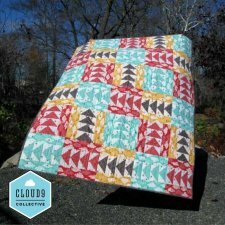 This project was designed by Maureen Cracknell for Cloud 9 Fabrics and will be an excellent beginner quilt. Have fun with this one!